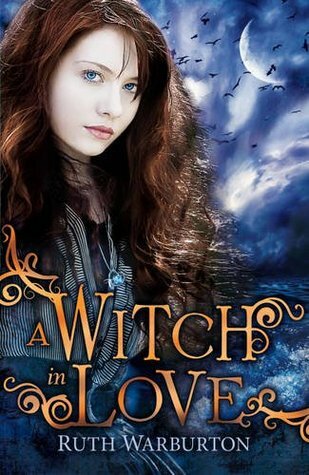 In A Witch in Love Anna’s adventure continues. She has discovered she’s a witch, but she doesn’t want to use her powers, ever. When her magic starts to spill out at random moments, it’s becoming harder and harder to conceal her magic to the outwith, non-magical people. This is a great follow up to Ms Warburton’s debut novel, A Witch in Winter. Where in the first book the cast of characters was introduced, in the second book their personalities are expanded, moving them from relatable to love-worthy. I fell further in love with several of the secondary characters. The absolute best thing about these books is how Ms Warburton GETS teenagers. The voice of the main character Anna is amazing. It’s uncanny how good she captures the true feel and angst of being a teenager, without bringing it too far or overdoing it. I think a lot of teens will be able to relate to Anna, even though they might not have the awesome magic powers she has. For me it took a while for the book to take off. For some reason the first hundred pages didn’t grip me as much as I was hoping they would. Maybe it was just the lack of action and Anna’s defiance for using magic, I can’t really put a finger on it exactly. The last half definitely made up for the slowness of the beginning though. The plot thickens, Anna meets a relative that might know more about her past, she ends up in a life threatening situation… I can’t wait to read the third and final book in the series. Secretly I’m wishing it was longer than a trilogy.